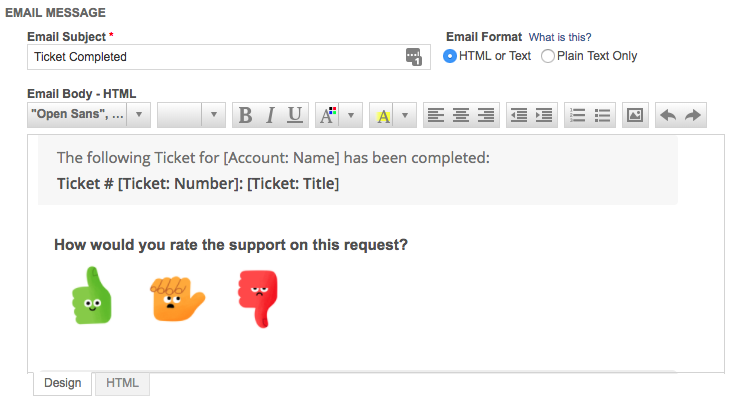 How to insert your survey embed code to a Autotask email template. In Autotask, email notifications are associated with events. After you generate your embed code in SimpleSat, you can paste the code into the event your clients get after you solve a service ticket. To get your Autotask embed code, create a new embeddable survey and choose Autotask as your helpdesk. You can find the code in the Embed Code tab of the survey creation process. Select and copy the code and prepare to add to Autotask. 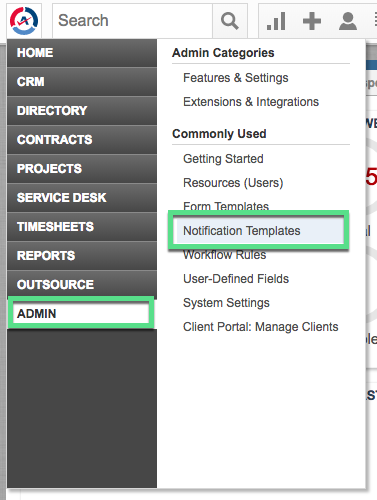 In your Autotask account, navigate to Admin > Notification Templates. Then choose the Service Desk tab. Find and edit the Notify Customer of Ticket Completion event. In the Email Message section, paste your embed code where you'd like the survey to appear.